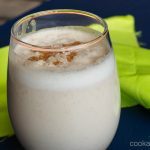 A satisfying apple peanut butter smoothie that combines two of my favorite flavors – and naturally sweetened with dates, this will get you through the morning! I love the combination of apples and peanut butter. You know, to be honest, I love peanut butter with many other flavors, but my favorite snack is peanut butter with carrot and celery sticks and apples! I was sent a sample pack of various products from Crazy Richards Peanut Butter (website here) and offered to promote their brand through social media. So here we go! I normally don’t like smoothies. If I want to have some calories, I’d prefer to eat them. Preferably peanut butter with a spoon just from the jar (ha ha!). But I was given a number of packs of this 100% peanut powder, where the only ingredient is … you guessed it … peanuts. I didn’t think I could go too far wrong with using this in a drink. 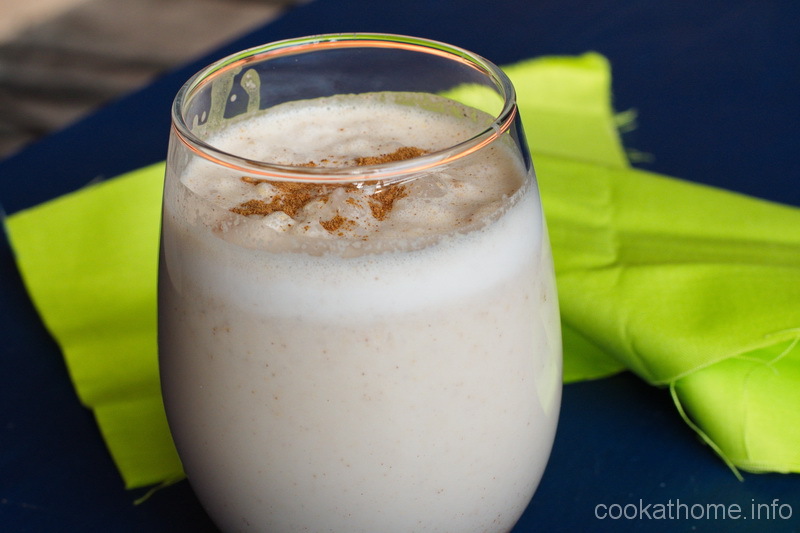 And then I had seen a recipe for a pumpkin pie smoothie, using pumpkin puree, date, coconut milk and pumpkin pie spice and I thought to myself, I can adapt that and include some peanut butter. So I did. And I loved it. And if you make it, you will love it too! Since I first made this smoothie, I’ve also made a blueberry sweet potato smoothie (where you can eat it with a spoon) and also used the peanut powder in brownies. See what some imagination can do?! Combine all ingredients except the ice together in a blender until smooth. Add the ice and continue to blend until desired texture is achieved.